Think It's Not Necessary To Replace Missing Teeth in Arlington? Some people who lose a posterior tooth question whether they should even replace it or not. After all, it doesn’t show when you smile and there are other teeth to take over the chewing functions. Why not avoid the expense to replace missing teeth in Arlington and save some money? 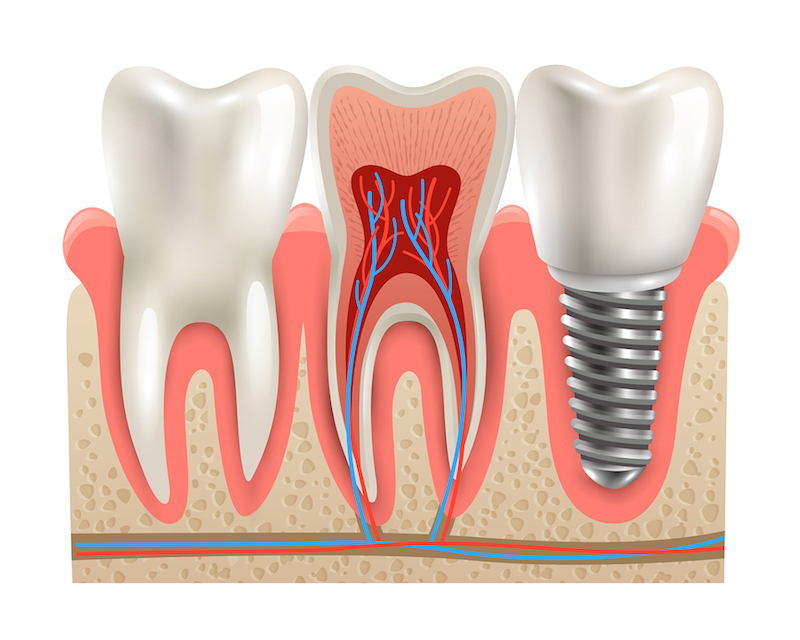 Actually, there are several essential reasons to replace a tooth with a dental implant if possible. Today, let’s go over three important reasons to replace missing teeth in Arlington. 1. The adjacent teeth may start shifting. If a tooth tips, moves, or rotates, it can affect the bite. The unopposed tooth can also move, though it generally moves outward from the bone. Teeth that are displaced can become more vulnerable to gum disease, decay, or TMJ pain, so it’s best to take care of the issue as soon as possible. 2. The underlying bone will eventually recede. Without the tooth root, the jaw bone shrinks. This changes the shape of the face and gives it a sunk-in look due to a decline in supporting bone. The vertical shortening progresses and becomes more pronounced as you get older. This can cause excessive wear, fracture, or pain and can lead to another dental injury. Before this happens, ask a dental professional how to best deal with your missing teeth in Arlington. If you have missing teeth in Arlington and want to learn about dental implants, call Stephen Ratcliff Family & Cosmetic Dentistry at 817-274-7875 to schedule an appointment. We care about our patients and we want them to have smiles that they won’t be embarrassed abouut. Along with restorative dentistry and dental implants, we also offer services such as veneers, root canals, and emergency dental care. We look forward to hearing from you.